Take a close-up look at Tudor royalty in this gloriously intricate mini book – the perfect way to conquer your history homework. 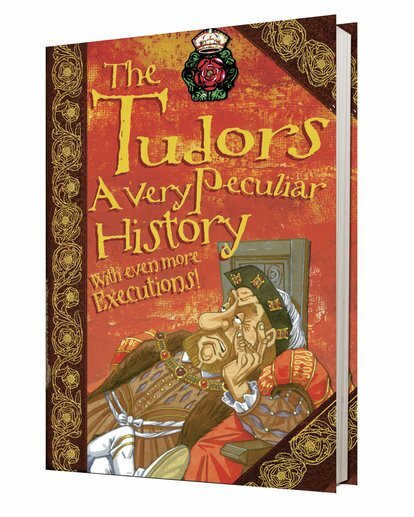 Featuring luxurious coloured endpapers, maps, quotes, songs, pictures and a timeline, it fills your head with heaps of weird/funny facts about Tudor times. (For example: did you know it was normal to slash up your clothes for that ‘fresh from battle’ look?) The Tudor monarchs ruled Britain for over 100 years; beheading wives, exploring far-off countries and earning nicknames like Bloody Mary. Learn all about their dynasty, their castles, their lives, their subjects and even their favourite methods of torture and execution. Ouch! 1120L Lexiles are the global standard in reading assessment. They are unique as they are able to measure a child and a book on the same scale – ensuring the right book gets to the right child at the right time.